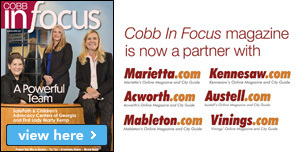 “The Big Chicken” is a well known Marietta landmark that rises above a KFC restaurant at the intersection of Cobb Parkway and Roswell Road. It is a large steel-sided structure with a moving beak and eyes. 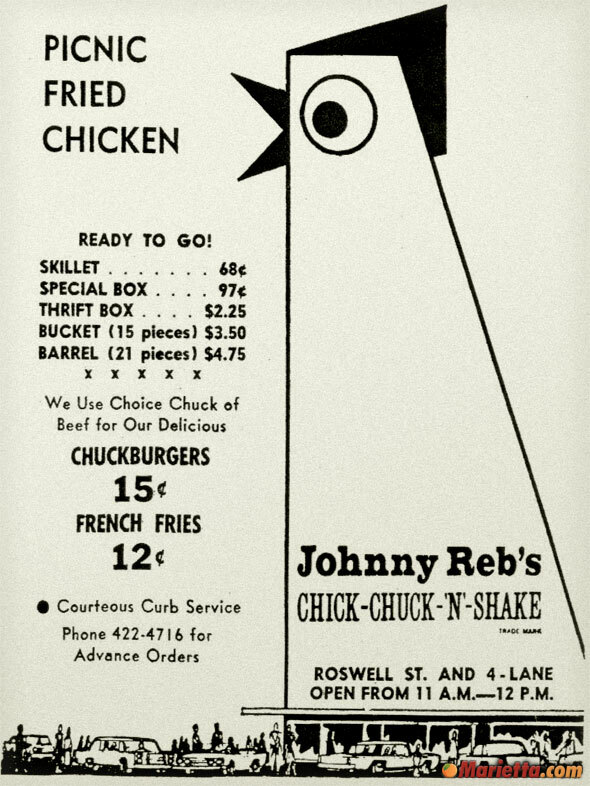 The Big Chicken was built in 1963 for a restaurant called Johnny Reb’s Chick-Chuck-‘N’-Shake (see below). 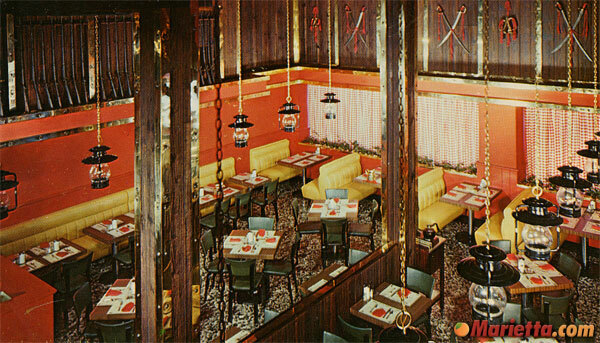 The owner, Stanley R. “Tubby” Davis, created the seven story tall structure as a way to advertise his restaurant. Soon the towering landmark was used as a reference point and phrases like “turn left at the big chicken” or “just one mile south of the big chicken” became common. A few years after construction of the big chicken, Davis sold Johnny Reb’s to his brother who turned it into a franchise of KFC. In 1993, after years of deterioration and recent storm damage, the famous landmark was in danger of being torn down. 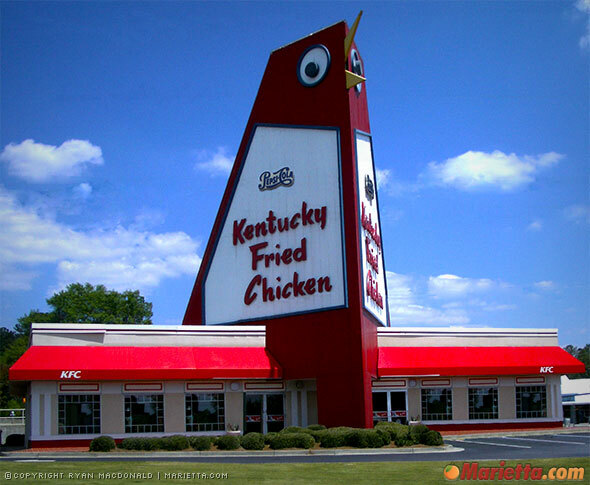 When news of this plan reached the public, the outcry was so great that KFC agreed to rebuild the entire structure and restore it to its former glory. 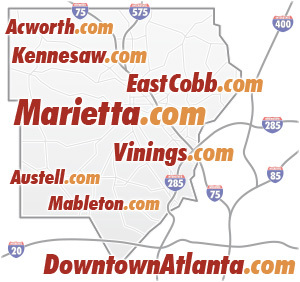 The Big Chicken is located at the intersection of Cobb Parkway (U.S. Highway Route 41) and Roswell Road (Georgia State Route 120 Loop). There is a small gift shop inside if you would like to purchase souvenirs, or stop by the Marietta Museum of History for some Big Chicken merchandise.